Travel is an adventure enjoyed by many. It’s a way to explore the world, learn about new cultures and experience life in a new light. However, planning travel can also be a headache, but partnering with a travel agent can make the whole process easier. Travel agents are experts at all things booking. This includes flights, hotels, and rental cars. With direct connections with airlines and hotels, travel agents actually have the ability to receive discounts not available to the public (and who doesn’t like a nice discount?). Not only is a discount great, but with your travel agent booking all of your accommodations you’ll spend less time worrying about which flight or hotel is best, and more time dreaming about your destination. Travel agents love helping their clients have the best trip possible. When you first make initial contact with your travel agent, he/she will make sure to obtain as much information as possible from you. Are you an adventurous type or would you rather relax and enjoy the beautiful scenery? Are you a foodie or would you rather spend your money on the arts? Whatever it is you like, your travel agent will plan your trip accordingly. This allows for you to stress less about what you’re going to do each day, and spend more time actually enjoying the destination. 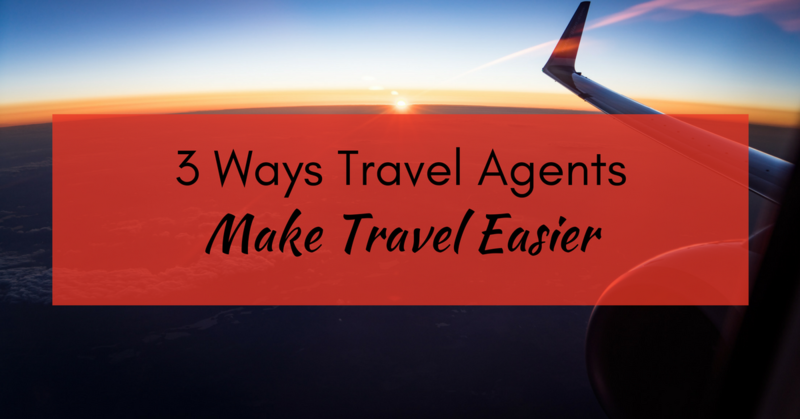 Like the connections with airlines, rental companies, and hotels, many travel agents also have area specific connections. This means you may be given certain discounts for things like museums, shows, restaurants or activities. Additionally, with area, specific connections comes the ability to recommend authentic local restaurants or excursions giving your trip a unique aspect that isn’t always easy to obtain if you’re planning your trip on your own. Planning trips on your own (especially trips overseas) can quickly become overwhelming, but as our independent agents would agree, partnering with a travel agent can calm your stress and make your trip exceptional. If you have a passion for travel and would love to make trip planning your job, visit our site to learn more about our independent travel agent programs!